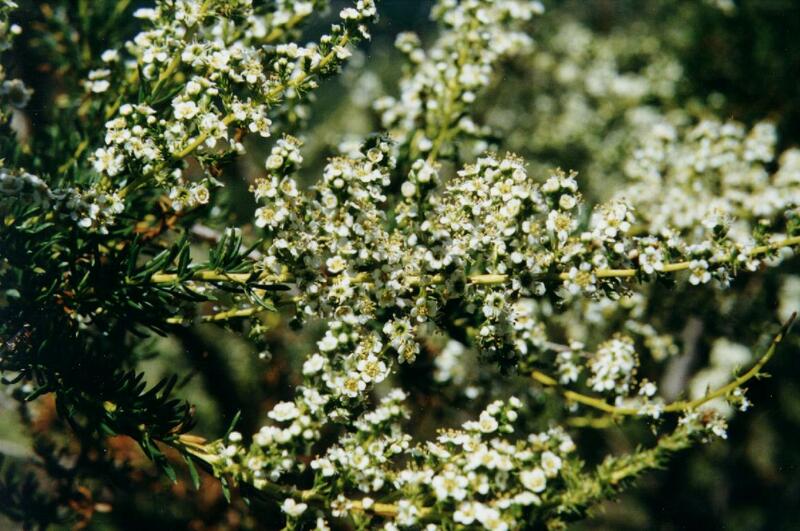 This is probably the most common single shrub in California. This plant is a pyrophyte (fire lover). The seeds germinate rapidly during the first rain after a fire. The leaves are almost needles, and the flowers that appear in May are very tiny. This stuff just covers the steep hillsides in the Lexington Basin.